Battling the crowds at shopping malls during the holiday season is not my idea of fun. 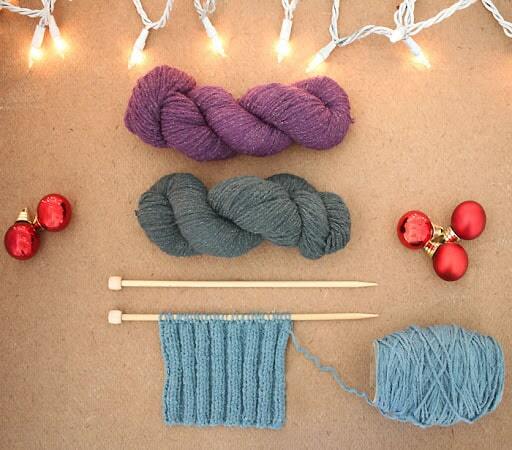 I would much rather spend this time hanging out with my family and ,of course, knitting! I’ve been doing all my Christmas shopping online for years now with the help of PayPal. Since I’m a small business owner, supporting other small businesses is a cause that’s near and dear to me. PayPal lets you discover wonderful small businesses and shop securely using One Touch. The One Touch option (which I use all the time) allows you to complete your purchase without entering credit card or billing details. Easy, right? To make your small business shopping experience even more enjoyable, PayPal is offering free return shipping* this holiday season. Free return shipping is always a feature I look for when online shopping! 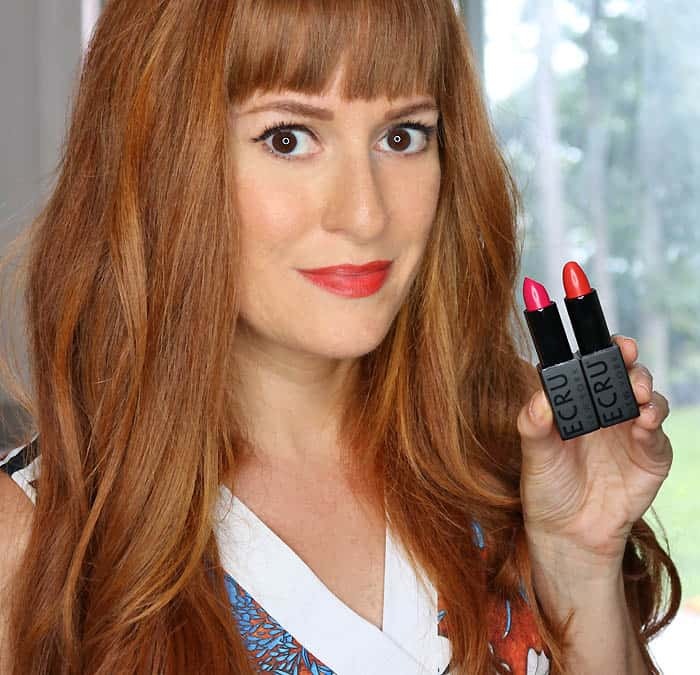 So, what fabulous small business did I discover thanks to PayPal? Feel Good Yarn Company produces its luxurious yarn using only American sourced fibers and spun entirely at NC State. 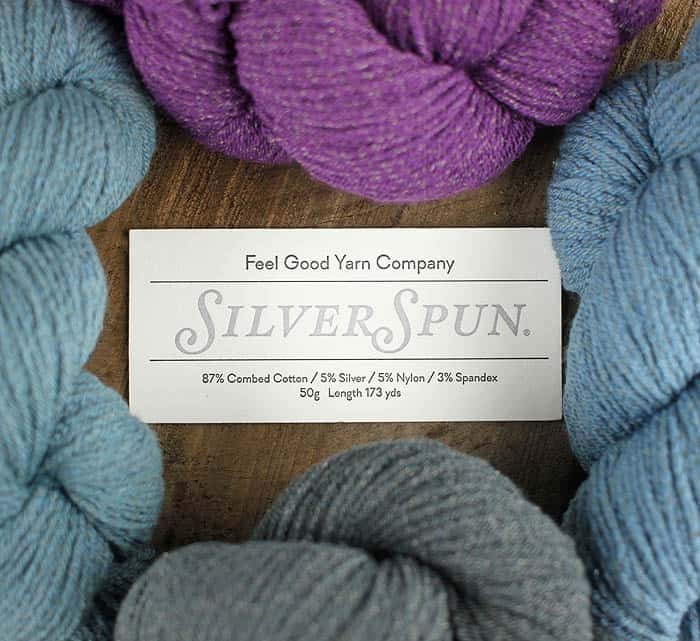 The best part about the SilverSpun yarn is that it’s made with pure silver. 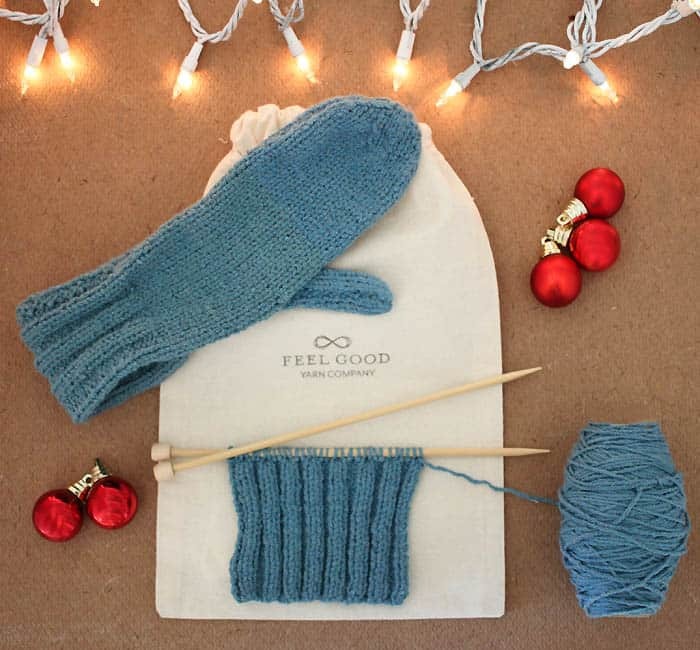 The silver in the yarn acts as a conductor allowing Smartphone or tablet touch screen use while wearing gloves knit from the yarn. How cool is that??? I was shocked when I put on my knitted mittens and was still able to use my phone! No more cold hands! The yarn is wonderfully soft combed cotton that feels almost like cashmere. It comes in several rich colors and the pure silver that is woven through adds subtle metallic sheen. The colors I chose were Sugar Plum (a beautiful amethyst purple), Starry Night (a smokey grey) and Sterling Indigo (a dusty blue). Feel Good Yarn Company shipped my order quickly and it even came with drawstring bag. Cast on 32 stitches. Work in K2 P2 ribbing for 6 inches. Work in Stockinette stitch until length from last row of ribbing is 2 1/4 inches. End with a Purl row. 1st row: K1, sl 1, k1, p.s.s.o., knit across next 10 stitches. 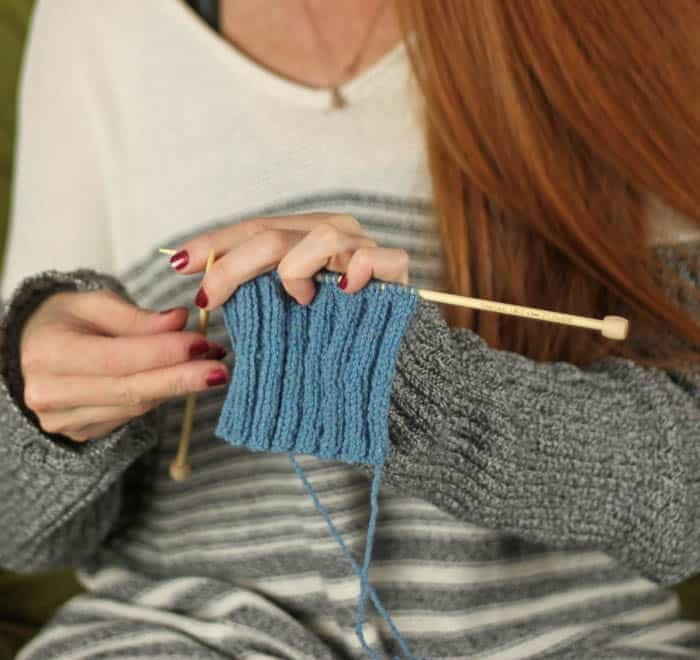 Knit 2 together, K1, place a marker on the needle, K1, sl 1, k1, p.s.s.o., Knit across next 7 stitches. Knit 2 together, k1. 3rd Row: K1, sl 1, k1, p.s.s.o., knit to within 3 stitches before marker, knit 2 together, k1, slip marker, k1, sl 1, k1, p.s.s.o., knit to within last 3 stitches, knit 2 together, k1. Repeat 2nd and 3rd rows until 12 stitches remain. Cut yarn, leaving a 12 inch tail. Draw through remaining 12 stitches. Pull tightly and fasten. I love my new mittens and I’m definitely going to be wearing them all winter long. As someone who is a) always cold and b) always checking my phone, this conductive yarn is as good as it gets! I even have enough yarn to knit my mom a pair for Christmas. Don’t worry- I’m keeping her away from this post! Thank you to PayPal for giving me the opportunity to discover a wonderful small business- Feel Good Yarn Company. I had no idea such a yarn existed! Amazing! Love the mittens! I have a question about the yarn- is the silver scratchy? No, not at all! It's very fine so you can't even feel it. The combed cotton yarn is very soft and comfortable to wear.